This treatment involves combining the most effective methods to help sun damaged skin and an uneven skin tone. For those individuals with more severe pigmentation a medical grade skin cream can be prescribed whilst receiving these treatments and this will be discussed at your consultation. a bespoke cocktail of specific alpha hydroxy acids combined with gluthatione is applied to the face and neck. Gluthatione prevents darkening of the skin and helps reduce pigmentation. It also protects the cells from destruction brought about by free radicals. 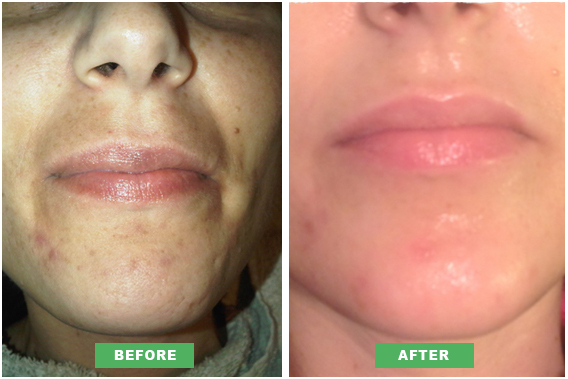 The solution is left on and the derma pen treatment starts, it’s is not painful and feels more like a prickly sensation, it helps to create tiny punctures in the upper skin surface which in turns creates collagen and helps with cell turnover so sundamage and poor skin tone is helped greatly. It also helps the aha and gluthatione solution penetrate deeper into the skin. Vitamin C is a potent antioxidant drug that can be used topically in dermatology to treat and prevent changes associated with photoageing.And pigmentation. Emblica fruit is native to tropical southeastern Asia, particularly India, Pakistan, Bangladesh, Sri Lanka and southern China. It.benefits the skin as a pro oxidation! free cascading antioxidant that greatly promotes skin lightening and reduces hyper pigmentation.